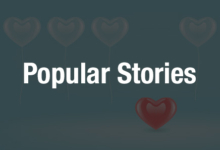 This week I wanted to do something a little different with the Ten 3D Printable Things column. Instead of finding amazing objects for you to 3D print I wanted to find amazing LEGO parts that you could 3D print and then build even more amazing things with them. I have found a ton of great LEGO pieces that can take your builds into entirely new directions and really change how you thought LEGO blocks work. Of course one of the things that you’re going to need to make sure of before you plan to 3D print a bunch of LEGO parts is that your printer can manage the level of detail needed on the parts. Because of the shape and size of the models, there isn’t a lot of room to do much post processing to the finished bricks so the final printed piece is going to be the best they are going to get. But if you have a 3D printer capable of high resolution parts, then go to town and build yourself some of the coolest LEGO constructs ever. As far as I’m concerned this is a must have for any LEGO fan. 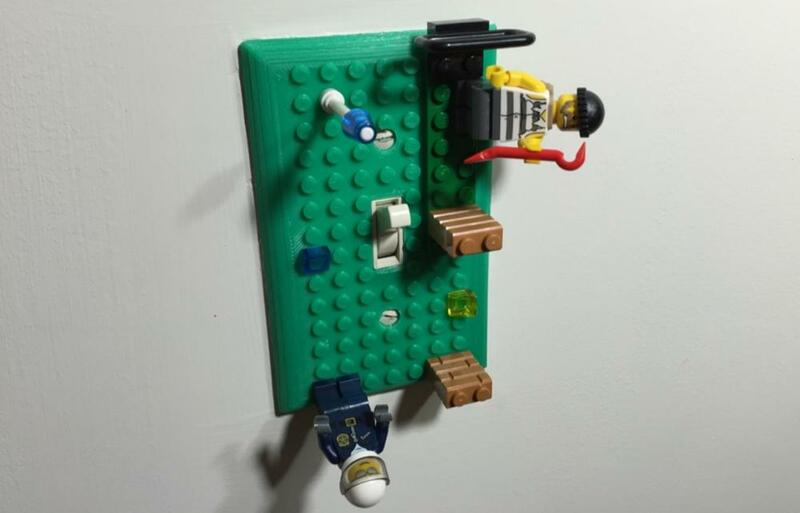 Not only can it be left empty just for decoration, but it works with LEGO pieces and can be decorated with any bricks or minifigures that you want. You could even change your LEGO light switch plate daily depending on your mood. And it should go without saying that this is perfect for kids. While there are thousands of LEGO shapes available, the one shape that they have never made is a curved brick. There are certainly some that give the illusion of being curved, but they are all based on the same square pattern. But these curved bricks offer a ton of new building opportunities that standard LEGO parts are simply incapable of. And you can even design your own curved bricks with the radius that you want using this OpenSCAD customizer. This ball and socket joint set is perfect for building highly posable LEGO action figures or models. This is one of those parts that seems so obvious I find it hard to believe that LEGO hasn’t already designed something like it. According to the designer it works like a smooth revolving joint, so it should give any models that you build with it an extremely wide range of movement. 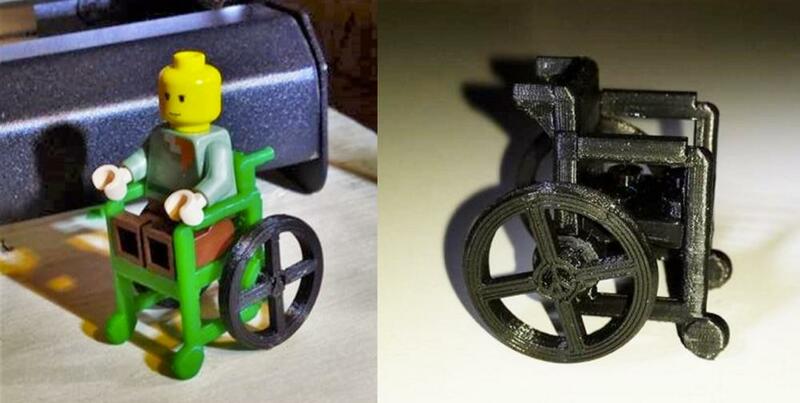 If you want to make your LEGO minifigs fully representative, then here is a great 3D printable wheelchair for them. It fits all standard-sized figs and even has a little peace sign design in the center of the wheel. This is going to be a complicated print that requires a bit of support, but its small enough that any post processing should be quick. If you know how to use OpenSCAD then this is a great LEGO brick customizer that you can use to design bricks in virtually any shape that you can think of. The designer included a few STL files for bricks that he designed himself as well, just in case you’re not familiar with OpenSCAD. He also created an Angled Brick Builder as well. Build LEGO constructs that aren’t limited to the standard X and Y axes with this cool hemisphere part that has four LEGO bases embedded on half of a sphere. This is perfect for that while and crazy project idea that you have, or for displaying minifigs and other small constricts in a unique way. At first a melted LEGO brick may sound a little ridiculous, but they actually make great stands for minifigs. Because they are at an angle, and have a wide base they are stable and allow figs to be posed in great dynamic ways. There are two different melted bricks available and the designer did include some detailed 3D printing instructions to make sure that they print correctly. There are a ton of 3D printable bow ties around, but I think this LEGO version is one of the most fun. It is perfect for any LEGO nerd and can be worn as is, of you can build on top of it with actual LEGO parts. Just don’t go crazy with the LEGO parts, you don’t want to come off any weirder than you already will by wearing a LEGO bow tie. Here is another entry on the ‘I can’t believe they haven’t made these pieces yet’ list. These great triple LEGO pieces will work with standard blocks and let you build all sorts of unique constructs that would be a lot harder using only standard bricks. There are a ton of different shapes available, including flatter pieces, thicker pieces, short stubby pieces and longer pieces. The original toy that was used to get kids into engineering and other STEM fields were LEGO sets, so it seems appropriate that a LEGO compatible remote controlled robotic kit is used to get kids into modern STEM education. The MeeperBOT is a simple RC base that has LEGO studs on the top of them, so once you assemble the robotic base, you can add any kinds of LEGO parts that you can think of. This is the toy of every kid’s dreams, no matter that kid’s age. That’s it for this week folks, I really hope that you if you all 3D print yourself some LEGO parts you show off what you build because I love looking at LEGO projects, the wilder the better. You can email me or give me a shoutout on Twitter @SJGrunewald. 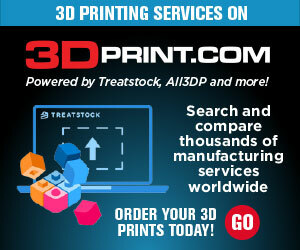 How Cost Effective are 3D Printed Adaptive Aids for Arthritis Patients?